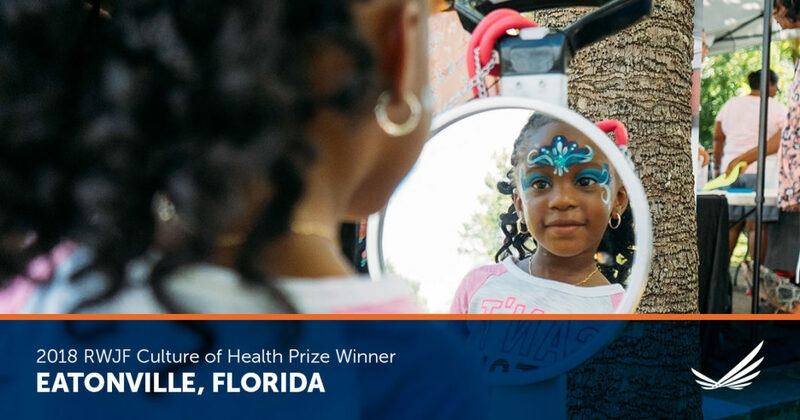 The Town of Eatonville is a 2018 RWJF Culture of Health Prize winner, honored by the Robert Wood Johnson Foundation for their efforts to ensure all residents have the opportunity to live longer, healthier, and more productive lives. The RWJF Culture of Health Prize honors communities that understand health is a shared value. Prize communities offer the nation important examples of the type of progress possible when all residents have a fair and just opportunity to live a healthier life. Selected from nearly 200 applicant communities, the 2018 RWJF Culture of Health Prize winners are being honored for bringing partners together to rally around a shared vision of health, drawing especially on the wisdom, voice, and experience of residents themselves. This wouldn’t be possible without our amazing residents, community partners and allies! Thank you for your support and keep up the great work. 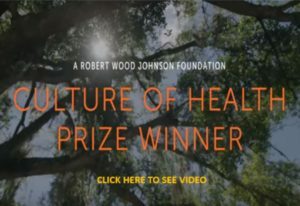 Visit www.rwjf.org/prize to find out more information about the Culture of Health Prize.